An orchestra may function as a single entity but the best of them contain fabulously talented individuals – musicians like cellist Louisa Tuck, Royal Northern Sinfonia section leader. “She’s the one your eye is drawn to,” Kathryn Tickell once remarked, explaining why she had approached Louisa to join her new folk quartet. The same might be said of other members of our highly regarded chamber orchestra. But Kathryn’s right in the sense that Louisa – prominently positioned on stage by virtue of her orchestral role – does convey extraordinary absorption in and mastery of whatever she is playing. I catch up with her on the phone in the midst of her usual dizzy whirl. “I’ve been on tour with Kathryn Tickell (and her group The Side) for about a week and a half and we’ve just got back from Europe and are about to embark on nine UK dates,” she explains. These will have to fit in with Sinfonia engagements and her own concert, on March 12 at Sage Gateshead, with pianist John Reid. 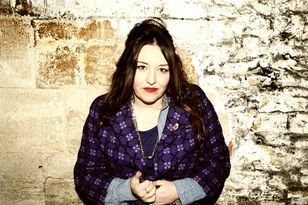 Folk is something new for Louisa. Originally from Hertfordshire, she paints a picture of an upbringing steeped in the classical tradition. “My mother was a professional musician, a clarinettist and teacher, and I was very lucky to have that from day one. Louisa’s parents split up when she was 10 but her father subsequently remarried, supplying his only daughter with three stepsisters. By this time she had gone on a scholarship to the Purcell School for Young Musicians, near London. Asked about the process of choosing her instrument, Louisa says she definitely didn’t want to play the clarinet and also resisted the cello when her mother suggested it. “I remember, when I was about six, she went up to the local cello teacher and I was so angry. I really didn’t want to do it. Then, for my seventh birthday, I got one and I also had a lesson. There she was in her element. She loved performing, loved practicing – still does, she insists – and knew that this was what her life would be about. She even met fellow pupils who would one day be her orchestral colleagues. Sinfonia flautist Juliet Bausor was the senior girl appointed to be her boarding school mentor. Precocity is a word that seems to sit lightly on Louisa’s shoulders. Good humouredly she recalls her dad being resigned to a succession of estate cars as he transported his cellist daughter to courses and concerts. Once, en route to a recital at the Wigmore Hall, he delivered a crash course in Chaucer which helped her through an English A level exam next day. It was at the Royal Academy of Music that she gained her first real orchestral experience. “I had never gone down the National Youth Orchestra route as a teenager. I’d always played chamber music, going on chamber music courses. I’d been going to festivals in the States since the age of 15 – I was very independent. Louisa, who is still only 32, found herself, as a student, playing with the Philharmonia Orchestra, based at London’s Royal Festival Hall. “I got to play amazing repertoire at the Proms and in big concert halls all over Europe. While at the Royal Academy, a friend suggested she accompany her to a BBC Proms concert where “this amazing violinist, Thomas Zehetmair” (then Northern Sinfonia music director) was playing the Brahms Violin Concerto. A job came up, Louisa auditioned and became a member of the orchestra at 24 after flying through the customary trial. She has no regrets. “This orchestra has got such a great reputation. Everyone thinks a chamber orchestra is more specialised (than a symphony orchestra) but I think it’s the best thing I could have done. It isn’t just about London, this industry. Recently, with Kathryn Tickell &amp; The Side, Louisa has been reaching new audiences. “I find it so liberating, this Kathryn thing,” she enthuses. She verifies Kathryn’s remark – that Louisa had believed folk musicians “just sit there and make it up” – but says she has since learned the truth. “Playing with Kathryn’s group is being part of a different sound world but it is so regimented and disciplined. I admit I’m not really happy playing from memory so I still practice and practice but that’s really because I want to make the best sound possible. “We’ve been touring with the new album and people love it because it’s new. It’s a new sound for me but we’ve found common ground and it’s fantastic. “I think my dad has become Kathryn’s number one fan. He loves the music and he thinks it’s good for me because I can relax a bit more than if I’m playing a Mahler symphony.” The crossover isn’t limited to performances with Kathryn Tickell &amp; The Side. A while back Louisa asked Kathryn to compose a new piece for her and it resides in the March 12 programme with classical works for cello and piano by the likes of Fauré and Debussy. This new piece, reflecting Kathryn’s deep love of the region and its folk traditions, is called Canny At Neet, Bonny At Morn – and if Schumann could call a piece of music Phantasiestücke, why the heck shouldn’t it be?